Nordstrom is hiring work at home representatives right now. For other virtual call center companies or other kinds of work from home jobs visit the work from home companies page. If you have excellent customer service skills and are searching for a work-at-home job, this position might be of interest to you. 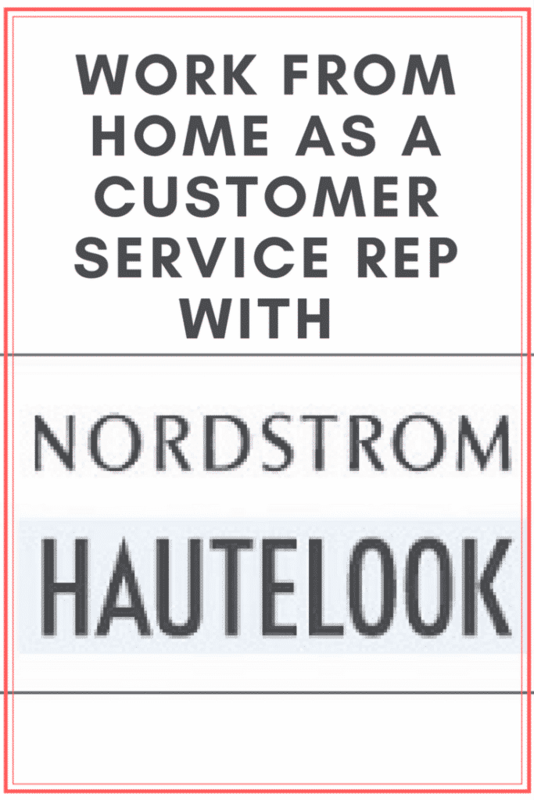 Nordstrom is currently hiring customer care reps for their HauteLook division. This Hautelook division of Nordstrom offers marked down, clearance and daily deals at discounts of up to 75 percent off original prices for members only. How Do I Get Hired With Nordstrom? If you meet all of the requirements above and think this would be a great fit for you then you can apply at the Nordstrom career site. Just search using the terms “work from home” in the search box to find any openings that fit that criteria. You can also check Indeed as they frequently list job openings there.